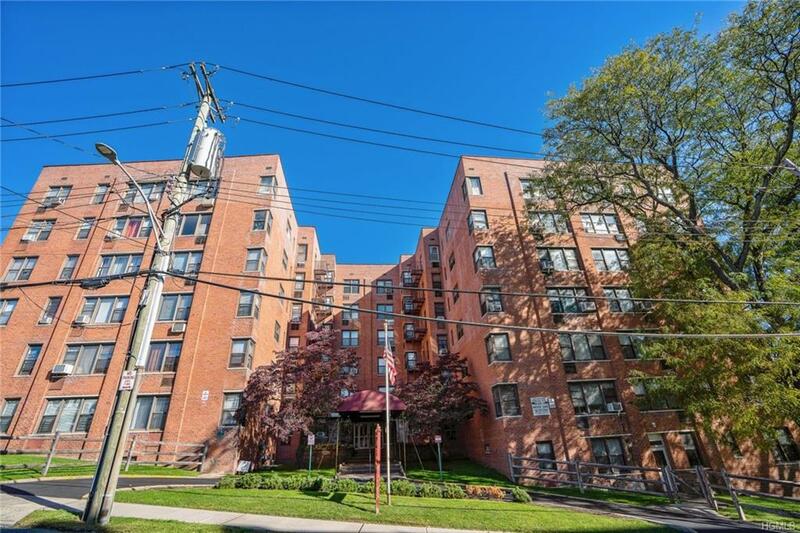 This spacious two bedroom offers a large windowed kitchen, sunlit rooms and beautiful wood flooring throughout. The layout of this unique property is complemented by nine windows, and five closets. 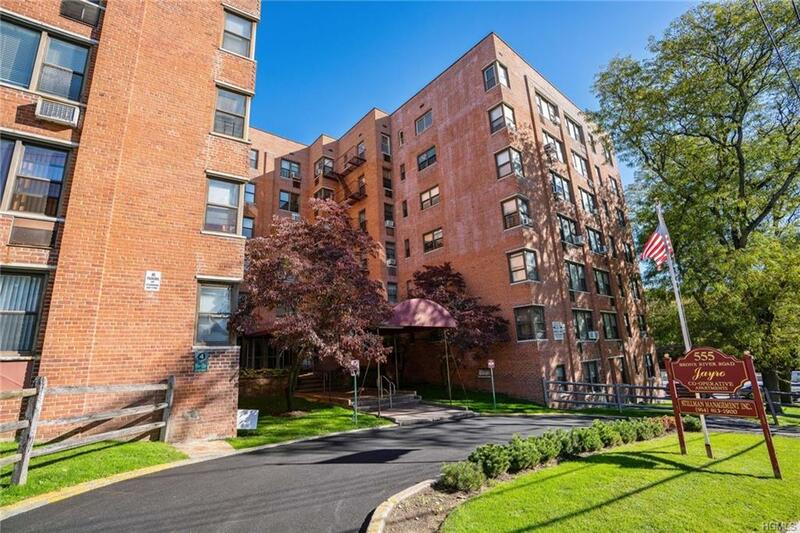 This lovely coop is located in a beautifully manicured complex which offers an inground pool and short waitlist for parking - indoor ($60)outdoor ($55). 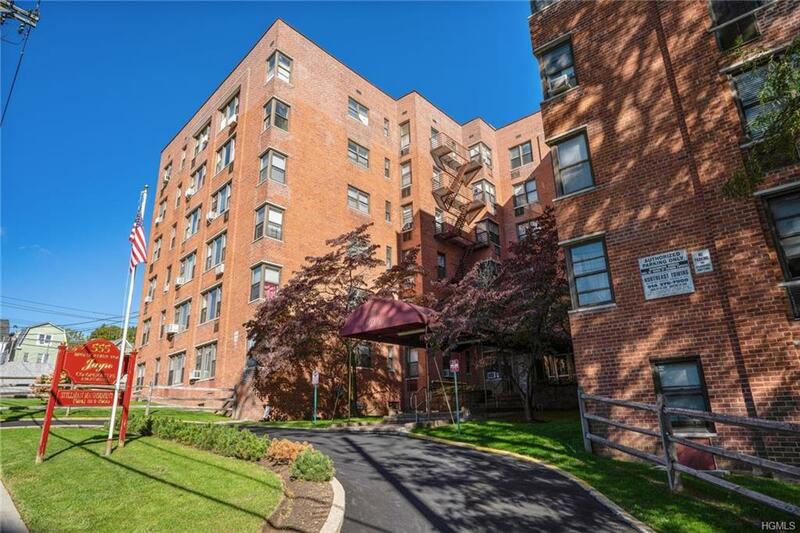 This location truly is a commuters dream- walk to train, shops, restaurants and more. Close to highways and seconds from cross county mall. 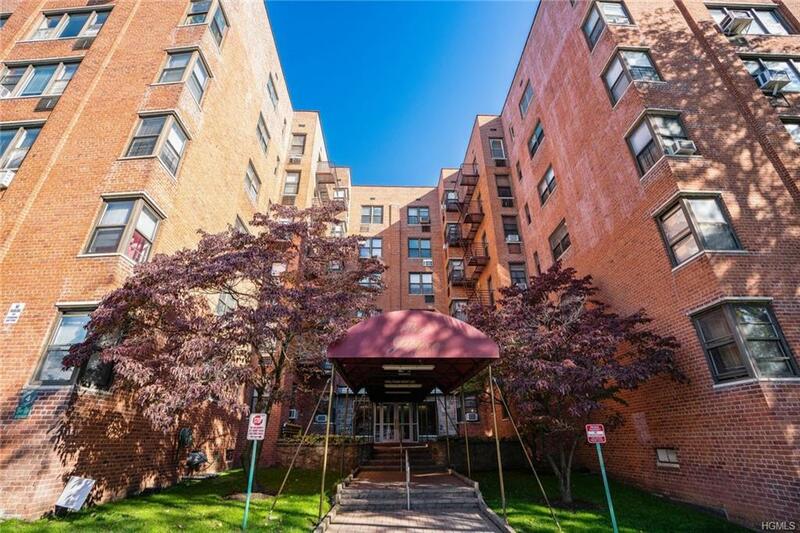 15 Minutes to White Plains Don't miss out on this rare opportunity. See it today.